Wildlife Drones has closed a seed investment round of $670,000 which included Australia’s most experienced research commercialisation fund, Uniseed. The funding will enable the tech start-up to launch its world-first drone radio-tracking solution in the Australian and New Zealand markets. The seed round also included contributions from angel investors, and will enable the company to translate its cutting-edge technology into user-friendly alpha and beta versions of its product for its first customers, which include wildlife researchers and invasive species managers. The technology brings wildlife tracking into the 21st century – until now, the tracking of wildlife has relied on researchers walking, often for hours or days, with their arm in the air searching for the signal of one animal at a time. Wildlife Drones founder and CEO, researcher Debbie Saunders, conceived of the idea when trying to solve her own tracking problems. The business was helped to get off the ground in the early stages by CSIRO’s ON and the ACT Innovation Connect programs, which help researchers create businesses from their work. 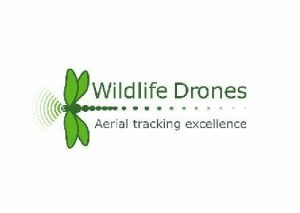 “Wildlife Drones has the potential to radically transform animal tracking, giving the wildlife management industry vastly more confidence and ability to fulfil its important role in protecting the environment,” said Uniseed Investment Manager Natasha Rawlings. The market need for more effective animal and pest tracking and research methods is growing due to increased urbanisation and farming of lands for food and biofuels, which is increasing the number of threatened species and vertebrate pests. Research indicates that the global integrated pest management market size was US$91.8 billion (A$125.37 billion) in 2016¹, while the agriculture drone market will grow at a CAGR of more than 30% over the next 10 years². Wildlife Drones technology maps radio-tagged animals in real-time, and has a number of distinct advantages over existing, hand-held tracking technology. Displays all location data live on a map, even when offline. The technology was recently used to track the movements of the Swift Parrot, one of Australia’s most endangered birds, which were also the original inspiration for developing the system. It was the first time drones have ever been used successfully to radio-track multiple small birds at the same time and see the results live on a base station. “Radio-tracking drones are in demand because traditional hand-held radio-tracking is incredibly labour-intensive and time consuming,” said Wildlife Drones CEO, Dr Debbie Saunders. “The capability of our technology supports more robust research and empowers those tracking animal movements to undertake their work in a way that was not previously possible. Managers and researchers can now more safely, easily and quickly cover large areas without going anywhere. The drone does all the hard work for them and provides real-time feedback on the results. Wildlife Drones is the world’s most advanced and innovative drone radio-tracking technology and is setting a new standard for wildlife research. With a unique set of features, wildlife researchers and managers can now find animals quickly, in all terrain and potentially hundreds of different animals and species at the same time. This is an industry game-changer, and will open up new projects to expand an already fast-growing industry.